Jerome Hipps is the co-founder of DASH and is a co-founder of the Philadelphia-based entertainment company, Mama’s Boys Music. Mama’s Boys was responsible for the discovery of Musiq Soulchild and served as executive producers for his albums. The company also manages hit-making songwriters and producers including Grammy-nominated production team, Karma Productions (Carvin Haggins & Ivan Barias) that have produced hit records for Keyshia Cole, Chris Brown, Jill Scott, and Justin Timberlake to name a few. Mama’s Boys recently partnered with entertainment executive Kevin Liles and KWL Enterprises to manage Grammy-Award winning artist Estelle. In Jerome ‘s illustrious career in the music industry, he has also worked as a Music Director for WLVR 91.3 FM, a Marketing Representative for Polygram Group Distribution, and a Marketing/Sales Representative for BMG in the Mid-Atlantic region. Jerome attended Lehigh University on a basketball scholarship and graduated with a Bachelor of Science degree in Business and a minor in Communication. In 1992, upon graduation, he was the Assistant Director of Admissions for 2 years before pursuing his passion for working in the music industry. In his leisure time, Jerome also assisted Team Final (A Philadelphia based Nike AAU Program) in organizing and running the class of 2022 and 2023 group of young men for the past 3 years (http://www.teamfinalbasketball.org). Michael McArthur is the Co-Founder of DASH and is a leading entertainment executive with a great understanding of culture and entertainment. Michael began his career in the sales/marketing division at Universal Music Group Distribution and later served as the Northeast Marketing manager for Island/Def Jam records where he was responsible for the marketing and promotion of artists such as LL Cool J, JayZ, Mariah Carey, Kanye West and more. McArthur co-founded his management firm, Mama’s Boys Entertainment Group, in Philadelphia. The company discovered and helped launch the career of Musiq Soulchild. He served as an executive producer for Juslisen and Luvanmusiq which both debuted at #1 on the Billboard Top 200 charts. Mama’s Boys formed a partnership with leading music industry executive Kevin Liles and his company KWL Enterprises. The management firm represents Grammy Award winning artists such as Estelle and D’Angelo to name a few. Michael is a member of the Recording Academy-Philadelphia Chapter. He is the recipient of multiple awards including the Gamble & Huff Award from the Black Entertainment and Music Association (BEMA), American Society of Composers, Authors and Publishers (ASCAP) Awards, and he was selected as a Philly 360 Creative Ambassador, an award given to key trendsetters in Philadelphia to promote tourism and the entertainment culture. Michael McArthur holds a Bachelor of Arts from the College of Behavioral and Social Sciences from the University of Maryland at College Park and is a Professor at Rowan University. Brandon Pankey is the Executive Director of the DASH program and has years of experience in the entertainment industry. He runs Touring and Business Development for Maverick, an artist management company under the Live Nation umbrella. The clients of the company include The Roots, Nicki Minaj, Jill Scott, Lil’ Wayne, T.I. and more. He previously served as Associate Producer for BET Centric’s Philly Fourth of July Jam television special and as Production Associate for the VH1 show “SoundClash”. He also is the Creator and Co-Developer of an iOS app,“TourStar”, which melds music and technology in an innovative way. Brandon was named to Billboard magazine’s prestigious “30 under 30” music executives list in 2011 and has been cited in national publications such as Billboard magazine and Black Enterprise magazine. Brandon earned a Bachelor of Arts degree from the Annenberg School of Communications at University of Pennsylvania in Philadelphia, PA.
Ivan Barias is a Master Instructor for the Dash program. He is one half of the production and songwriting duo Carvin & Ivan. He has received numerous awards and accolades for his songwriting and production and has been nominated three times for a GRAMMY in the R&B Song Of The Year category. His production work has received an additional 20 GRAMMY nominations, as well as several ASCAP songwriter awards. Along with his production partner, Carvin Haggins, he has produced and written music with artists such as Jill Scott, Musiq Soulchild, Justin Timberlake, Jazmine Sullivan, Keyshia Cole, Chris Brown, Miguel, Mario, Neyo, Jamie Foxx, Mary J. Blige, Estelle, Ledisi, 2pac, Ace Hood, Rick Ross, Raheem Devaughn, Jaheim, Faith Evans and many others. As part of his ongoing music advocacy efforts he serves on the Recording Academy Philadelphia Chapter’s board and has lobbied on Capitol Hill on behalf of artist rights and copyright reform. From 2012-15, Ivan served as president of the Philadelphia chapter and now currently serves on the Academy’s National Board of Trustees and the P&E Advisory Council. In 2011 he was selected as a Creative Ambassadors for the city of Philadelphia and ambassador for the Philadelphia 76ers community Basketball League La Liga del Barrio. 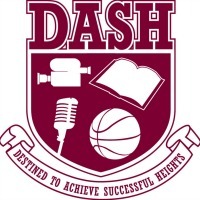 Kristal Oliver is a Master Instructor for the Dash program. She is a Grammy nominated singer/songwriter that has been writing professionally for over 20 years. Specializing in songwriting and vocal production, she has worked with acclaimed artists such as Sean ‘Diddy’ Combs, Estelle, Kanye West, Mary J. Blige, and Justin Timberlake to name a few. Kristal has also been featured in Billboard Magazine, Hip Hop Weekly, and Playback Magazine multiple times. Always one eager to educate and inspire, she has had the honor of being a speaker for the ASCAP ‘I Create Music’ Expo, ASCAP ‘Stilettos & Soul’ as well as numerous Philadelphia Grammy Chapter panels. Not only is she an established songwriter, but Kristal is also a master instructor with the DASH Program; a program based in multiple states across the east coast specializing in educating youth and adults on how to express themselves through songwriting, music production, dance and more. Last but not least, Kristal has proudly served as a Governor for the Philadelphia Grammy Chapter and is a well known face in the music scene.